Wind turbine farms are finding corrosion to be a problem that could zap productivity as well as structural integrity. Offshore oil riggers have long known of the corrosive effects of ocean winds and seawater. With many wind farms located in coastal areas, the renewable energy industry is now facing similar challenges, adding to engineering concerns as well as environmental impact. OffshoreWindbiz reported corrosion issues in offshore wind have upped operation and maintenance costs. For better or worse, this has also created a market for corrosion solutions that could lead to billions of dollars in projects by 2050. How is corrosion zapping offshore wind turbine efficiency? The remedies have to be developed on a case-by-case basis. According to John Foster of Sarum Hydraulics, there may be different levels of corrosion resistance needed, he wrote on the company's blog. "I think that a customer has to decide what level of corrosion resistance is required," Foster said. "I cannot see the point of a component that seizes up within weeks. You are then fighting a battle to continually replace the part, knowing that it has a short service life. There may be a component that seems to last, say a year and can be swapped out every refit. There is a balance of probability that it will last. I suppose an issue is that in our global market, what you fitted twelve months ago may not be made from the same materials as the one you are fitting now." There are a variety of solutions available, from systems that exclusively employ 316 stainless steel alloy throughout the entire installation (which may not be practical for the majority of cases), to epoxy resin-coated components and galvanic anodes that focus only on splash zones and areas directly exposed to extreme environmental conditions like salty air and brackish seawater. As another example, Phys.org mentioned the collaborative RepaKorr project in Europe. "Our aim is to develop a holistic, sustainable concept for the maintenance and repair of protective systems, that will be simpler to apply and thereby reduce costs," explained Peter Plagemann of the Fraunhofer Institute for Manufacturing Technology and Advanced Materials IFAM in Bremen, as quoted by the source. The work by Fraunhofer Institute placed special emphasis on those parts of a wind turbine not permanently submerged underwater, which needed a particularly hard-wearing coating to prevent rust formation. A ScienceDirect review, however, noted that sometimes the solutions can add another layer of difficulties, since corrosion protection systems developed to address the original issue may have an problematic impact of their own, like chemical emissions, metals and organic substances being released into the marine environment. ScienceDirect, while acknowledging the importance of dealing with corrosion issues to safeguard the long-term stability of offshore structures like wind turbines, noted that both advantages and disadvantages should be considered. Their review, consequently, addressed knowledge gaps, the requirement for research and monitoring activities to increase awareness of the environmental impact of corrosion protection systems and suggested strategies to reduce undesirable emissions of anti-corrosion systems. 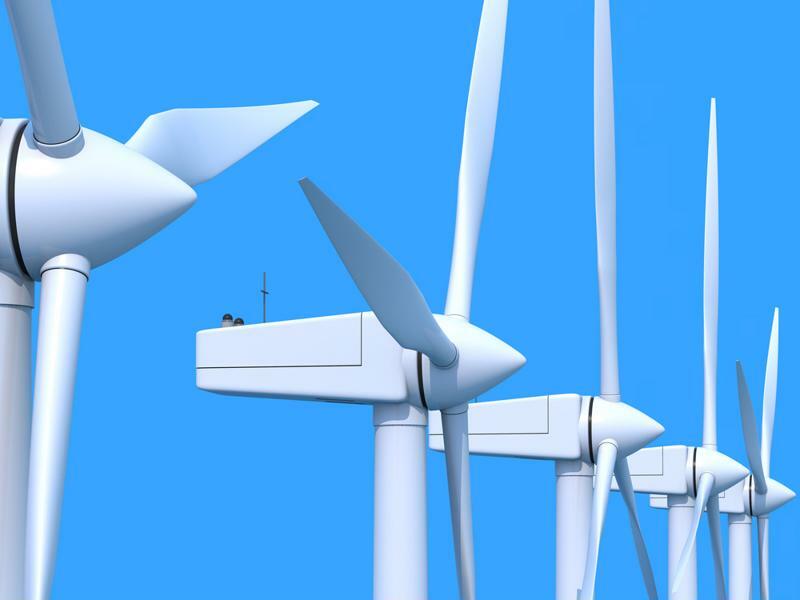 With more attention focused on these needs, wind turbine farms should be able to operate effectively for 25 years, which is the typical lifetime for offshore structures.